Edo Ergo Sum: Vegetarian + Fourth of July = ???? Vegetarian + Fourth of July = ???? 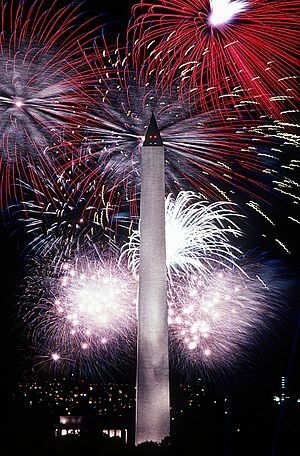 The Fourth of July is here and for most Americans, this means a day off, fireworks and barbequing. As I am in Berlin, I don’t get a day off – it’s a workday just like any other, but as the ex-pat, I’m having people over anyway. Who can say no to grilling and beer? Grilling usually implies loads of MEAT. All these barbeque bibles and grilling tomes claim that you can grill just about anything, but seriously – how many pages are devoted to vegetarian grilling? Normally, I wouldn’t think about this question – give me a slab of animal on a grill, and I am the first in the queue - but as this year’s celebration involves a number of vegans and vegetarians, I am thinking about putting something else beyond a cardboard burgers and a rubber “dogs” and call it “food” for my veggie friends. I know, I know. Vegetarianism is usually associated with tree-huggers, PETA wanna-be’s, Hitler and everything FOX News is against. But before we go some Reductio ad Hitlerum, vegetarianism is not for the anemically freakish anymore. According to Harris Poll (at the bequest of the Vegetarian Resource Group) in 2009, approximately 3% of the US population calls themselves “vegetarian,” and another 8% of the US population claim that they never eat meat. Whether the 8% that never eat meat also hate Rupert Murdoch is up for empirical study, one thing is for certain: vegetarians are now mainstreamed. All the cool kids are doing it. Former President Bill “Bubba” Clinton has gone vegan and our Lady of Oprah is promoting “Meatless Mondays.” But beyond the obvious health benefits of going vegetarian (Bubba lost 25 pounds going vegan), going vegetarian can also help the environment and food security across the globe. Just some numbers for you just in case you don’t believe me. - Animal protein production counts as the biggest consumer of water in the US – Beef (grain-fed) takes up 100,000 liters (26,400 US gallons, approx.) of water for one kilogram of meat. Chickens use 3,500 liters per kilo of meat. Potatoes: 500 liters. Soybeans: 2,000 liters. - Livestock directly leads to deforestation – 30% of surface land is used for livestock. According to Greenpeace, cattle ranching represents the largest contributor to forest deforestation, representing 14% of all forests cut down worldwide. I could cite some more numbers, but if you are not convinced by all the environmental reasons, another detail will move you: $$$$. Vegetarians regularly spend less money than meat eaters. A quick survey of studies suggest anywhere from a 20% to 40% savings on your grocery bill if you cut out meat. If you spend $100 a week on groceries, that would add up to $1,040 dollars a year. A CBS report suggests that you could save $4,000 a year. That’s a lot of lentils. And this doesn’t even consider the amount of money you would save on health insurance due to your lower cholesterol, blood pressure and obesity risks. And cancer? Vegetarians and vegans had considerably lower risks of colon, prostate (that means you men) and breast cancer. So even if you aren’t committed to a vegetarian life, try a day or two. You might find yourself feeling better. You might find yourself liking new vegetables. And you just find yourself feeling a little smug – that’s OK – you’re doing the planet a favor. I used to call this dish the “white people dish” because it was one of the few Korean dishes that didn’t send our guests to the hospital in paroxysms of burning pain. But in the process of making this dish for endless number of guests, I discovered another useful bit – as the noodles for this dish are made from sweet potato flour, anyone with a gluten allergy or Celiac disease (I am not going into the politics of gluten today – I’m too tired to deal with that topic today.) can finally have their pasta back. Furthermore, this dish can be made for carnivores, vegetarians, octo-lavo vegetarians or vegans. The flavor of this dish comes from mainly from the noodles and the vegetables – meat or eggs are completely optional. Furthermore, this dish is great for summer picnics, as it can be served room temperature (or slightly chilled). And even my carnivorous husband likes it (even though he says it would be improved with the addition of bacon, but I usually ignore this tired culinary trope). I’m giving you the vegan version…no one has to know…. 1. Place dried mushrooms in a large bowl. Pour boiling water to cover (at least 2 inches over the mushrooms) for at least 15 minutes to soften. 2. In a large sauté pan, heat 1 tbs. of vegetable oil over medium-high heat. When hot, but not smoking, add onions and sauté until translucent and soft, about 5-6 minutes. Add 1/2 of minced garlic and to onions and sauté for about 30 seconds. Add scallions, and sauté for another minute. Take onion mixture off heat and set aside. 3. Take 1 tsp. of vegetable oil, and heat again over medium high heat. When hot, sauté carrots until wilted, about 2-3 minutes (could take longer depending upon the how thinly the carrots were cut). Add to onions. 4. Take the same skillet, and add 1 tsp. of oil to the pan over medium high heat. When hot, add remaining garlic and sauté for 30 seconds. Add the spinach (you may have to do this in bunches), pinch of sugar, and sauté until wilted, about 1-2 minutes. Add to onion mixture. 5. In the meanwhile, boil a large pot of water (the same amount you would use for a pound of pasta). When the pot comes to a rolling boil, add the noodles, stir to separate, and cook for 5 minutes. Drain thoroughly with cold water and toss with 2 tbs. of sesame oil to prevent from sticking. Set aside. 6. Take the remaining vegetable oil and heat in skillet over medium-high heat. Drain mushrooms and when the pan is hot, but not smoking, sauté the mushrooms for 2-3 minutes, until all the water has evaporated. Add to the onion/spinach/carrot mixture. 7. Toss noodles with the vegetable mixture and the 2 tbs. of soy sauce until thoroughly combined. Taste and add more soy sauce if needed. Scatter toasted pine nuts on top and serve immediately or at room temperature (can be made a day ahead). Before I go on, I should have full disclosure (and no, I don’t mean this in an Anthony Wiener way). I was a vegetarian for nearly 7 years. Partially for health reasons, and partially for taste reasons, I just avoided meat (college cafeteria food often has this affect). The day I graduated, I had a burger – it was the best damn burger I ever ate (Hat Tip to Bartley’s Burgers in Harvard Square). I haven’t looked back since. Yes, this piece of pop history is true: Hitler was a vegetarian. He was a health food junkie – but to place this in context historically, the health food movement in Germany during the early 20th century was quite in vogue. Biodynamic farms, the precursor to organic farming, was founded in the 1930s, and has remained popular in Germany since then. See my post on history of organic farming here. For details on the survey and its methodology, click here. I don’t want to go on some nominalist rant here, but I should define some terms. While vegetarianism usually implies the non-consumption of meat, there is some looseness in the definition. I know vegetarians that eat fish and vegetarians that eat poultry. And there are some who don’t eat meat, but refuse to call themselves vegetarians. For my purposes, I am going to define vegetarians as those who do not eat any meat, poultry or seafood (including fish). Vegans are a subset of vegetarians, who also exclude dairy, eggs and honey from their diet. The history nerd in me wants to note that “Meatless Mondays” is not something that the liberal “nanny” state made up (actually the wonderful people at John Hopkins University’s Center for a Livable Future resurrected it in 2003). During WWI and WWII, the FDA encouraged “meatless Mondays” as a part of country’s war effort. Ironically enough, Fourth of July this year falls on Monday. This was not planned I think by the researchers at Hopkins. I have addressed this topic in a little more depth in an earlier post. To read, click here. This is according to several nutrition and cancer incidence studies. I’m not in the mood to cite them, but if you just go to Google Scholar and look at the articles, there is evidence abound.